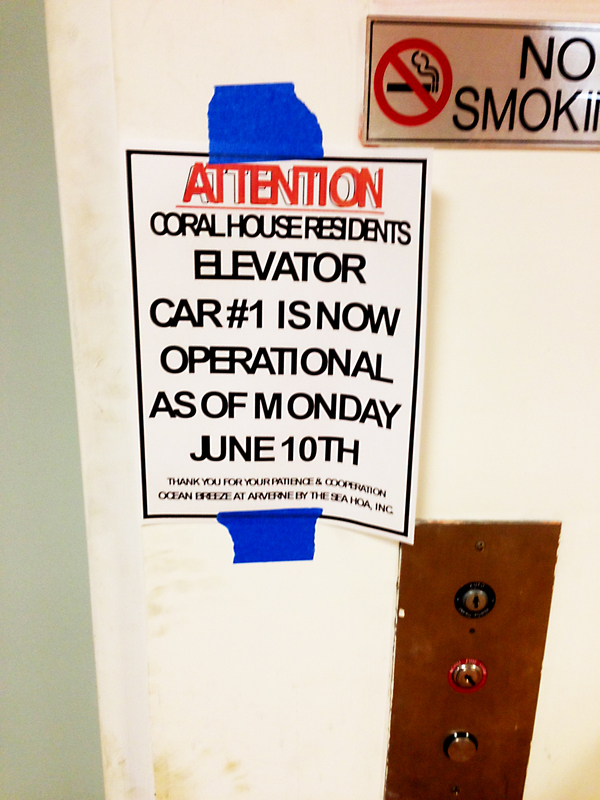 After 7 months of lugging laundry and groceries up the stairwell, in some cases all the way to the sixth floor, elevator service has finally returned to Arverne By The Sea’s Coral House. Let’s use 7 months as a rough estimate. Let’s say 30 days per month. Thats roughly 210 days. Now let’s use a person that lives on the 6th floor as an example. Say that person made 3 trips a day as an average. That would be 18 flights of stairs a day. In the whole 7 months? 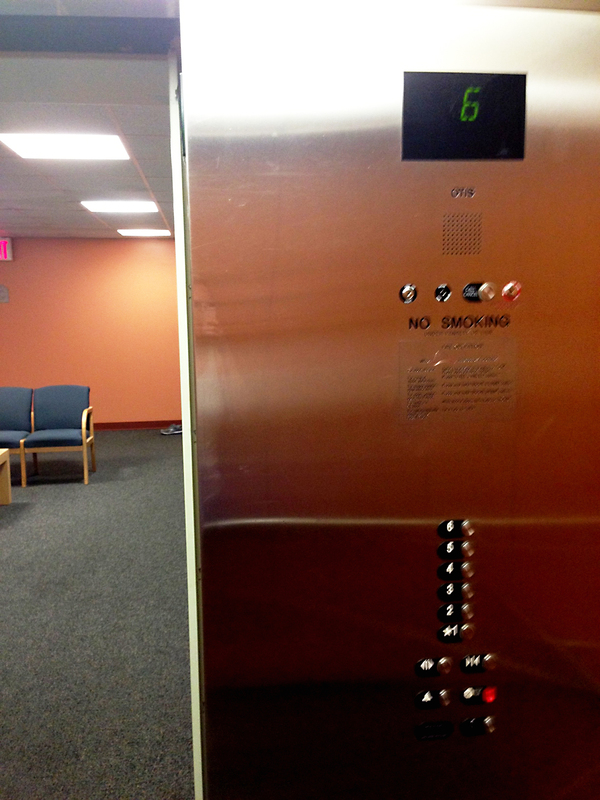 3,780 flights of stairs. We are talking some rock hard calf muscles here! This entry was tagged A train, art, arverne, Beach, Breezy Point, Breezy Point Queens, elevator, Hurricane Sandy, New York City, photography, Queens, Recovery, Recreation, Rockaway, Rockaway Beach, Rockaway Forever, Rockaway Queens, Summer, Sunset, travel. Bookmark the permalink. ← Hey Rockaway – Is Your House Haunted?